New York - As levels of available kosher and halal food at local food pantries have continued to decline, and food banks have been left wondering how they will provide provisions for their religiously observant clients suffering from food insecurity, has U.S. 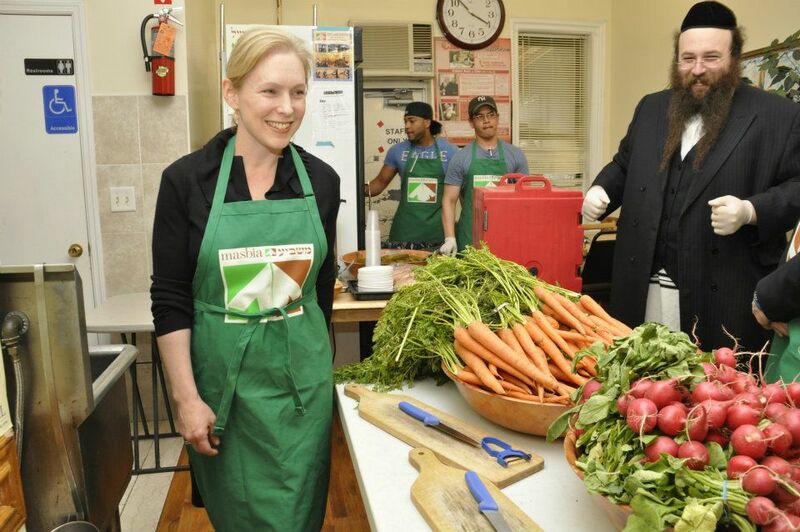 Senator Kirsten Gillibrand greatly concerned and calling on U.S. Department of Agriculture Secretary Thomas Vilsack for an update on what the agency is doing to purchase kosher and halal foods for distribution in The Emergency Food Assistance Program (TEFAP). Senator Gillibrand also noted that the 2014 Farm Bill included an important provision directing USDA to increase the purchase of kosher and halal commodity foods whenever they can be obtained at equal cost. Across New York City’s five boroughs, there are 507,000 people living in poor or near-poor Jewish households. More than 180,000 Jewish children, nearly 45 percent of all Jewish children in New York City, live in poor or near-poor households. The food prices are going up so fast ,as a senior ,it's hard to get by .Every time I go shopping at a supermarket the bills get larger without buying meat or fish ,just staples. Masbia serves predominantly non-Jews anyway. Gillibrand is useless.